American students from the Massachusetts Institute of Technology have come up with an effective way to fight Facebook addiction using the method developed by Russian scientist Ivan Pavlov. 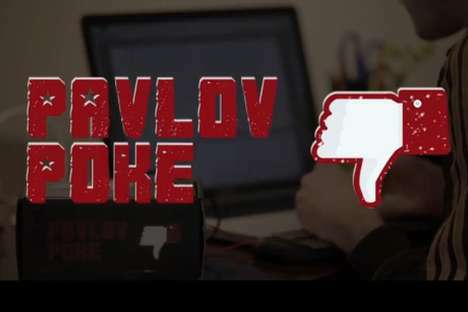 Robert R. Morris and Dan McDuff have designed a stunning device – named the Pavlov Poke in honour of the famous Russian scientist who developed the theory of classical conditioning through his work with dogs – that gives you an electric shock when you log onto the social networking site. The stunning device is worn on the wrist and connected to a computer through a USB socket. It then syncs up with your web browser and monitors your internet activity. If you access a ‘black-listed’ site, then you are hit with a non-lethal, but nevertheless unpleasant, electric shock. The device is currently at the prototype stage. Its creators are not looking to make money off the project, although high demand for the gadget may force them to rethink – according to data from Chicago University, Facebook is more addictive than alcohol and cigarettes. In Russia, there is a less painful but more effective method of combating addiction to social networks (the most popular in Russia being VKontakte) – at least as far as kids are concerned – and that method is called ‘School’. The new school year in Russia began on Monday. Just two days later and the number of page views on social networks has dropped by roughly 5 million. VKontakte analysts expect a 10% drop in traffic on the site over the course of the school year.